A 33-year veteran EMT from the Laurel Rescue Squad saved a woman who appeared to be just moments away from jumping off a bridge this afternoon. At about 3:30 pm, Saturday, June 9, 2018 a Laurel Volunteer Rescue Squad Ambulance, Ambulance 849B, was on the scene of a car crash involving minor injuries on the Capital Beltway near the I-95 overpass in the College Park/Beltsville area. The driver of the ambulance, Volunteer Lieutenant EMT Scott Globerman, was about to commence with transporting a person from the crash with minor injuries to the hospital when he witnessed several bystanders looking and pointing up at the I-95 ramp and overpass. He looked and focused on the area where they were pointing. Globerman, a 33-year member of the Laurel Rescue Squad, saw an adult female standing on the bridge edge of the guardrail and she appeared distressed. He notified his partner to remain with the patient already loaded in their ambulance from the crash and he immediately went to the distressed females location. Globerman called on his radio for police assistance and asked St Joe's Heavy-Duty Rescue Squad 806 to provide barrier protection. Squad 806 had just cleared the crash and was still in the immediate area. Globerman engaged the female in conversation in an attempt to talk her to safety. The female only repeated she "must wait until 5:00 pm." Globerman realized the situation was dire and only had moments to act before the female jumped from the bridge. He and an unidentified bystander calmly approached when she suddenly pulled her shirt over her head and appeared ready to jump off the bridge. Globerman reached out and grabbed the female preventing her from jumping. Still holding on to her he asked her to move with him to a safe area and she complied. Globerman escorted her away from the edge of the bridge to a safe area where another ambulance and Maryland State Police met them. The ambulance transported the female to an area hospital for a psychiatric evaluation. Globerman returned to his ambulance and completed the transport of their crash victim. 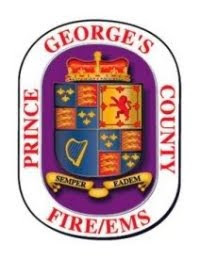 The on-duty Prince George's County Battalion Chief, Lee Collins, states that he feels confident that Globerman saved the life of this female.